Buy Mapei G19 G20 Adhesive | Polymax India. 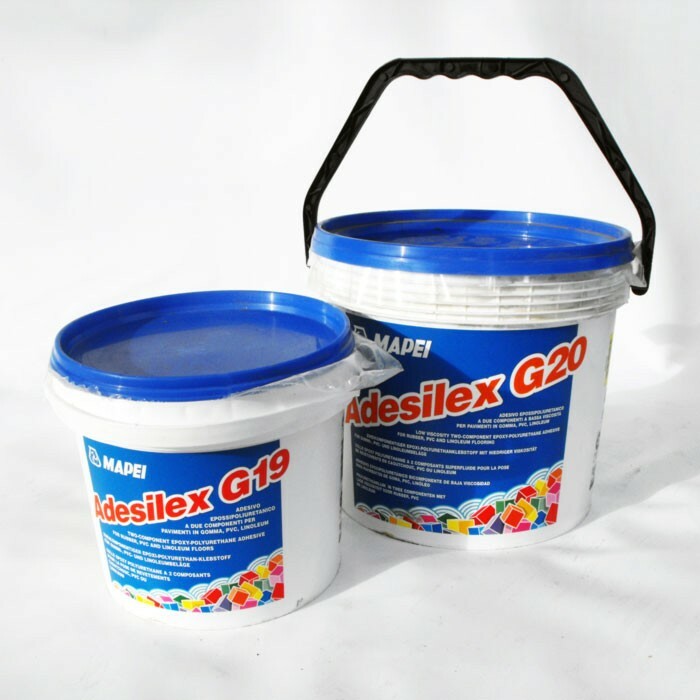 ADESILEX G20/G19 is a low viscosity two component adhesive consisting of a polyurethane polymer, part A, and a special hardener, part B. By accurately mixing the two components together a uniformly coloured paste is obtained, that can easily be applied with a trowel, roller or spreader. ADESILEX G20/G19 can only be applied on horizontal surfaces. • Interior and exterior bonding of flooring in rubber, PVC, textiles,needlepunch, linoleum, polystyrene and polyurethane panels, fibrous cement, wood, sheet metal, plastic laminates. • Semiflexible homogeneous or composition PVC flooring. • Exterior textile and needlepunch flooring. *Coverage is an estimate, based on using an A2 spreader. Also depends on the application the adhesive is used on.